You are going to Watch Overlord Episode 9 English subbed online free episodes with HQ / high quality. 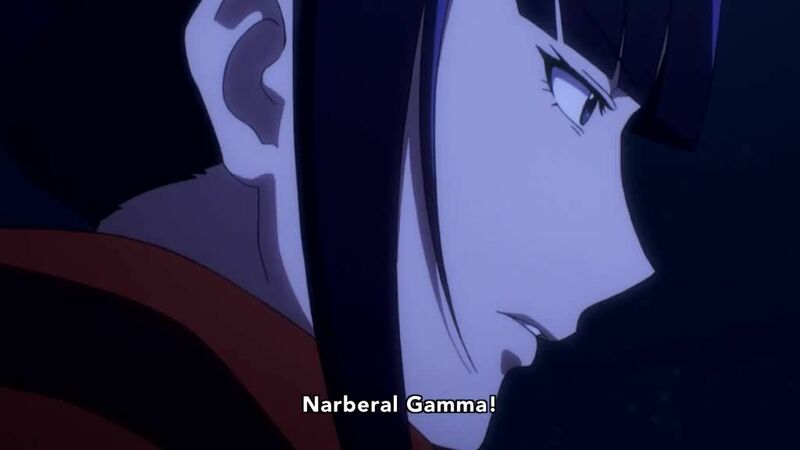 Stream Anime Overlord Episode 9 Online English sub The Dark Warrior. Momon and Nabe begin their respective fights against Khajiit and Clementine. Khajiit summons two skeletal dragons that he declares are impervious to magic, but this is proven partially false as Nabe easily obliterates both the dragons and Khajiit with a seventh tier spell (as the dragons can only block six and below.) Momon, continuing to give Clementine a handicap, clashes with her repeatedly. Furious at how Momon repeatedly mocks her as weak, Clemetine charges Momon with a full force attack and stabs him in both eyes with elemental strikes. Laughing, Momon brushes off the move to Clementine’s shock and pins her with a one-armed bear hug. Revealing his true nature as an undead elder lich, Ainz torments Clementine that she was defeated by a magic caster that didn’t even use magic. Visibly shaken, Clementine snaps and flails relentlessly while thrashing at Ainz to release her. Her efforts prove futile, and Ainz crushes her body with both arms, killing her. Ainz then returns victorious with Narberal, Hamsuke and Nfriea and for his efforts is immediately promoted to Mythril rank. As he discusses his new promotion with Narberal, Ainz contacts Albedo who alerts him that Shalltear Bloodfallen has rebelled against Nazarick.